5:30-7:15 PM, at Yoga is Therapy, 2921 E. Fort Lowell. $24 per class (save $4). Register by 4/11/19 for 4/22/19 session. Class size limited. Early rates available unless classes fill before above cut off dates. Register here. Cancellation policies here. This yoga session is focused on self-care and down-regulation of your physical and mental systems. 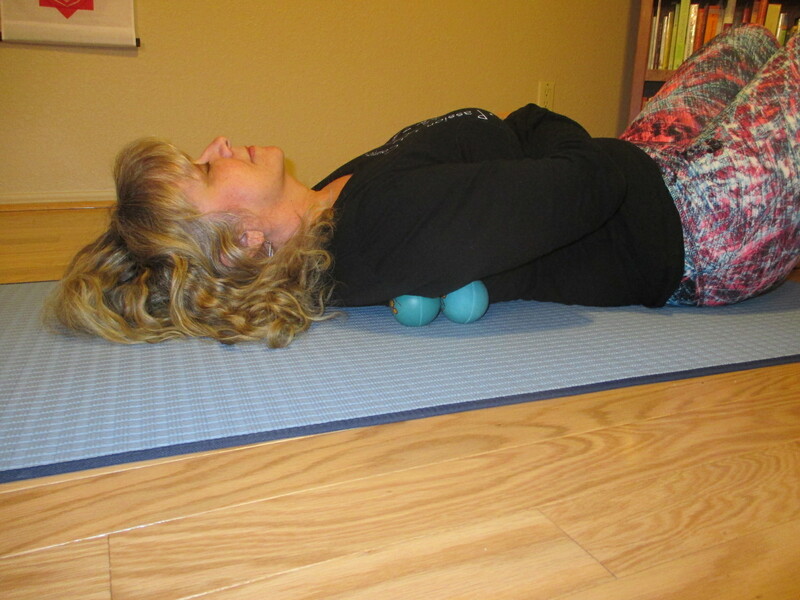 We employ the wonderful Yoga Tune-Up® Therapy Balls followed by practicing Yin Yoga. We roll out tightness and tension in our muscles and connective tissues with the therapy balls. 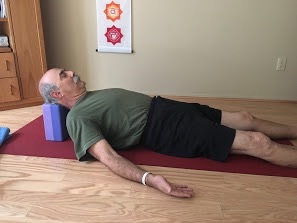 We will then melt even further practicing yin and restorative poses modified for all bodies. These sessions focus on whole body tissue release; with a little more emphasis on back, shoulders and neck. However your hips and feet will not be neglected! Restore your physical and mental condition to a stress-free state. Note: Therapy balls will be available for participant use during the workshop. Please bring cash or check if you wish to purchase your own set. Sessions Guided By: Bonnie J Golden, M.Ed e-RYT is the owner of Yoga with Bonnie/Yoga in Balance LLC www.yogawithbonnie.com. Bonnie is a certified Roll Model Method ® practitioner. Additionally, she successfully completed training in Classical Yin Yoga with Debbie Daly founder of Tucson Yoga. Further in-depth training and expertise includes Relax and Renew® , Post-Partum Corrective Exercise Specialist, prenatal/postpartum yoga, pelvic floor specialty training, and Yoga Tune-Up®. She is certified through Baxter Bell M.D. and Nina Zolotow in “Yoga for Healthy Aging” .